Futsal Shoe Munich Continental Black model. 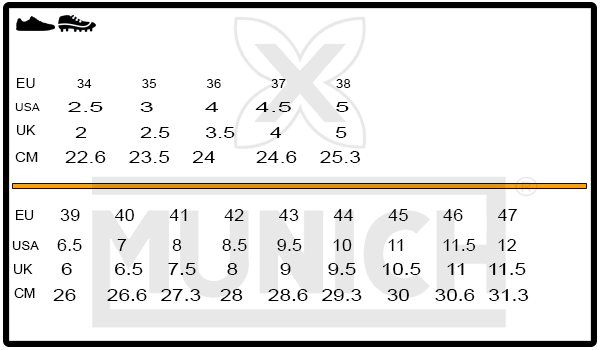 Munich Continental is possibly the shoe model most used by professional football worldwide. Maintains a classic cut is made with the best materials (leather bond) and an extremely durable sole. It is available in various colors and design, developed with the help of the best indoor soccer players worldwide, combines sport and street fashion.